Adelphean Connections is designed as an intensive living-learning leadership experience for rising sophomores and juniors. This curriculum is grounded in the Social Change Model for Leadership Development and guides our members through an exploration of self, community, and leadership as a collaborative process. Participants will use CliftonStrengths for Students to cultivate their talents and develop their leadership skills in both individual and team settings. Our goal is to empower members to confidently lead and develop their leadership potential. 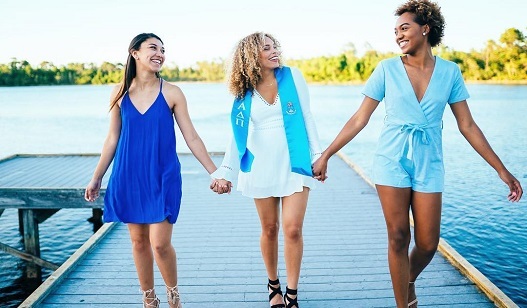 Emerging leaders who attend this program will take home a deeper understanding of how their personal values connect to Alpha Delta Pi; the ability to utilize their Strengths to achieve their goals; and an action plan to further develop their leadership skills to positively impact their chapter and communities.